Outaouais cannabis company Hexo is partnering with Molson Coors to develop non-alcoholic, cannabis-infused drinks in Canada. Quebec-based cannabis company Hexo is partnering with Molson Coors to develop non-alcoholic, cannabis-infused drinks in Canada. They will form a standalone company with its own board of directors and independent management. Molson Coors will control 57.5 per cent of the unnamed venture, the company said in a news release. Hexo will own the rest. The established Hydropothecary medical marijuana company recently renamed itself Hexo. While it will continue to use the Hydropothecary moniker for its medical products, anything aimed to the recreational market will carry the new brand. "There are some cannabis-infused drinks out in some of the illegal markets in the U.S." said Sébastien St-Louis, Hexo's CEO and co-founder. "But nothing has ever been attempted to the level of quality that we're designing here in this partnership." Industry experts have pointed to the stigma of smoking as one reason companies are developing smoke-free ways to consume cannabis once its recreational use is legal in Canada, as of Oct. 17. St-Louis told CBC Radio's All In A Day that the new company's plans, however, go beyond simply offering customers a refreshing, relaxing beverage. "We also intend to offer them experiences around wellness," he said. "When you think about sports supplementation, reduced inflammation, when you think about diet drinks — these are all things that we can introduce with the various molecules available in cannabis." Hexo was founded in 2013 in east Gatineau and is in the midst of an expansion that would eventually see it produce up to 108,000 kilograms of dried cannabis per year. It is poised to provide Quebec with 20,000 kilograms of cannabis products, including plants, sprays and powders, in the first year of legal sales. The precise regulatory framework around edible and drinkable cannabis products likely won't be in place until 2019, said Molson Coors president and CEO Frederic Landtmeters — but he remained confident the joint venture with Hexo would be able to navigate those waters. "We care a lot about responsibility, have always done so in the space of alcohol, [and] will continue to do so in the space of cannabis," Landtmeters told All In A Day. "One of the things that has impressed us ... with Hexo is they really share that value." 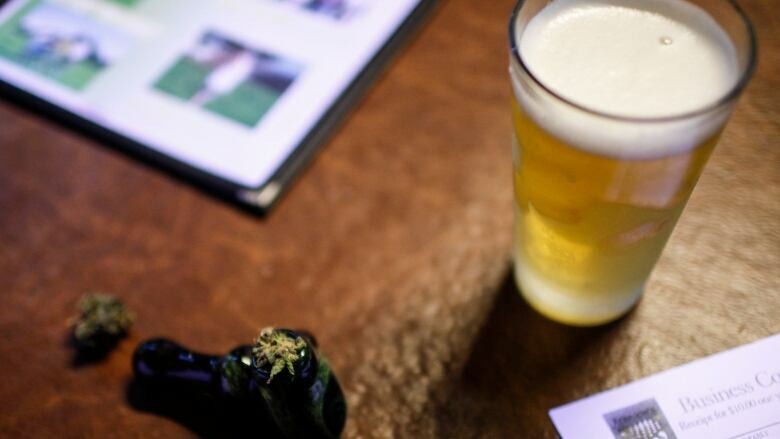 The deal between Hexo and Molson Coors is expected to be finalized by the end of September.